The first time I met Lyndsay, we instantly clicked. Her love for her Corey, her pug (Doug the Pug) and life just shined through and it was contagious! No surprise, we had the best time together during the planning process. Lyndsay knew just what she wanted and trusted me to help bring her vision to life! 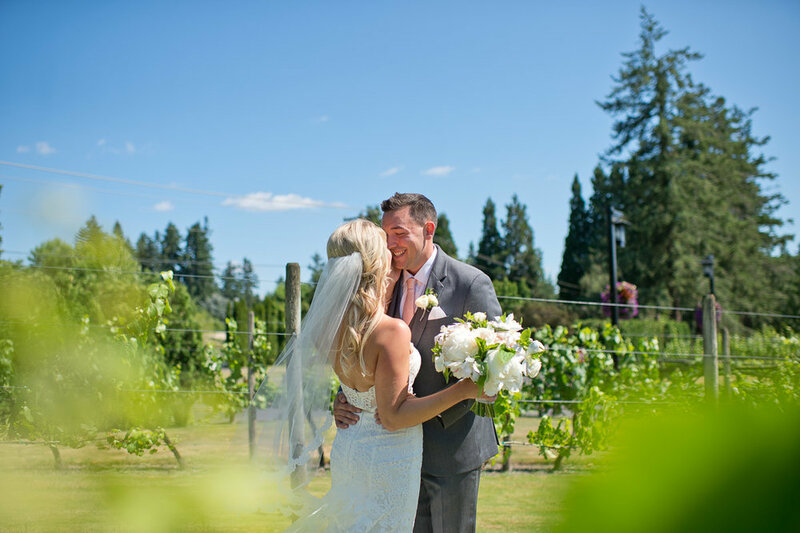 The wedding day could not have been more perfect. With the ceremony overlooking the course at The Reserve, Blum Floral Design created a gorgeous arch with lush blooms and white draping where the couple exchanged vows. 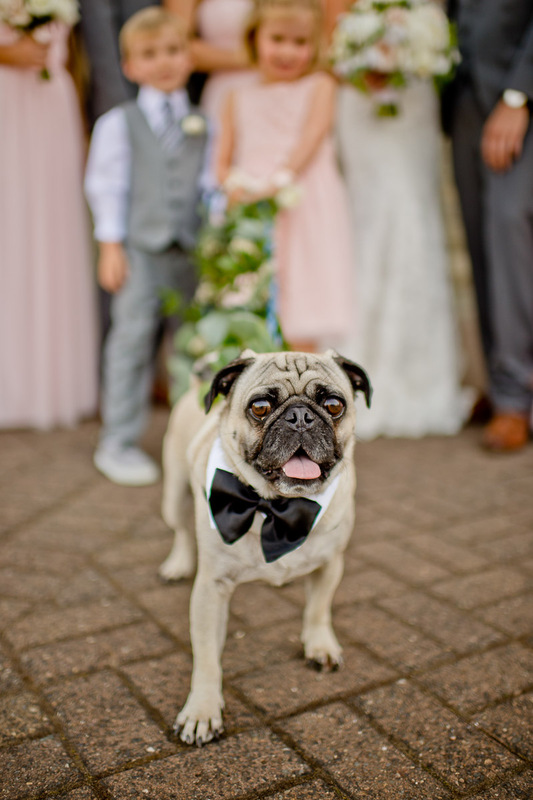 Lyndsay + Corey's pug even made an appearance walking down the aisle as the Ring Pup, with a floral leash to boot! 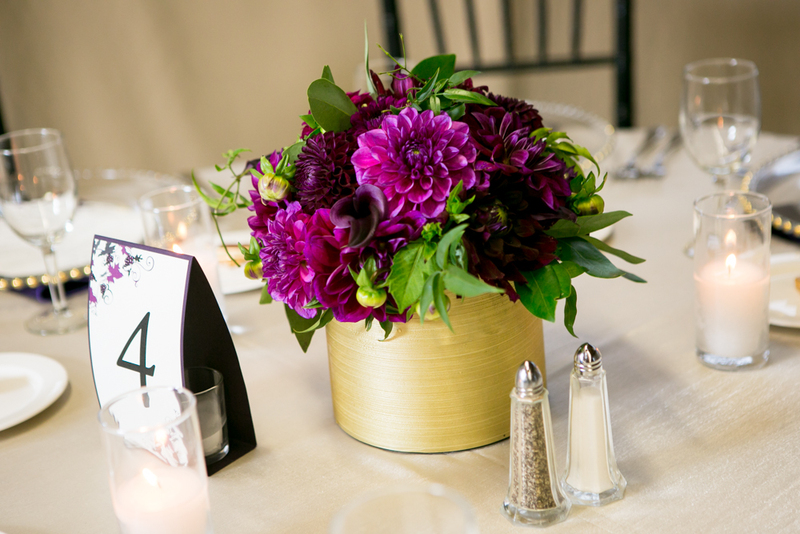 For the reception, guests made their way to the pavilion which was filled with darling details. The pavilion boasted three greenery chandeliers with hanging blooms, soft gray linens, glass silver beaded chargers and gorgeous blush, ivory and white florals with pops of greenery. 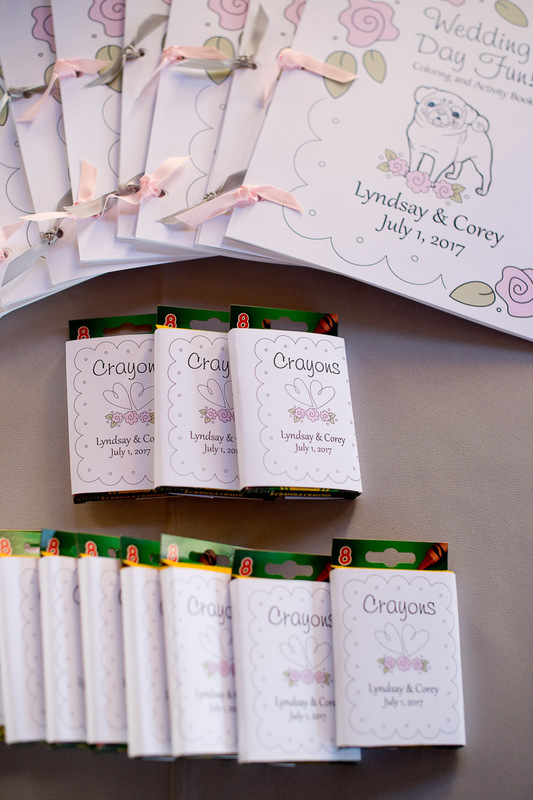 My favorite detail was the "Doug the Pug" sugar cookies for each guest with a tag saying "Pugs and Kisses from the New Mr. & Mrs!" Such a cute way to incorporate him! Entertainment included everything from a photo booth, lawn games, personalized coloring books for the kids and even an amazing dessert display to make sure everyone could satisfy their own sweet tooth. The night ended with a sparkler send off, sending the couple off on their new adventure together as husband and wife, and an epic honeymoon in Italy! 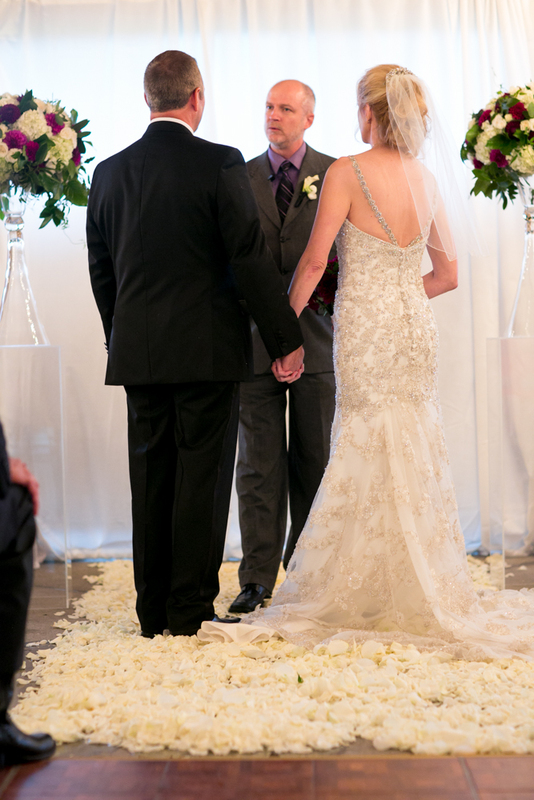 Carol & John were the first two Nike execs to ever tie the knot, and KATY and I were thrilled to be a part of it. 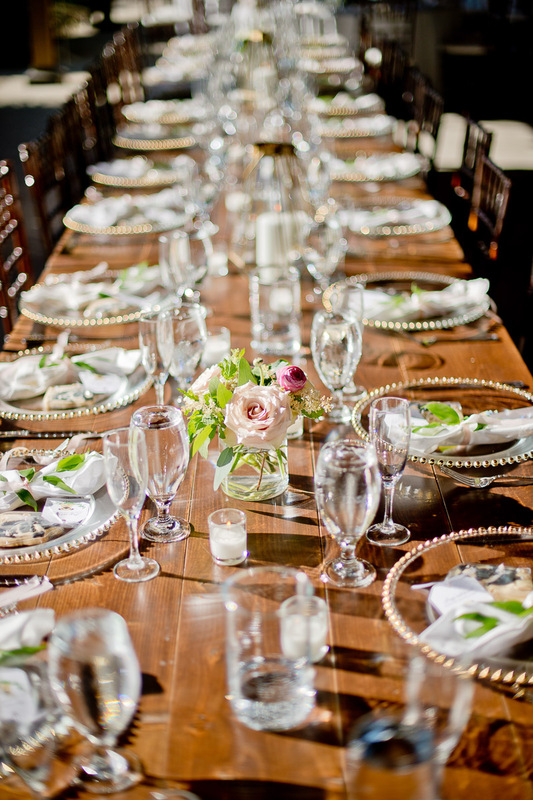 With just two months to plan, we incorporated their love of wine with the decor and pulled together a pretty fab event. What we hadn’t planned was the wettest day Portland would see in 2013. A day before the wedding, we had to execute our rain plan and move our outdoor ceremony and cocktail reception inside the covered pavilion. Between the rain, crazy wind (a huge glass door even broke!) and a bevy of umbrellas, it was truly an event to remember. This sweet couple had such a wonderful story, and were two of the genuinely king people we have had the opportunity to work with.